Located at Strowan, a few miles west of Crieff, the Handmade Oatcake Company operates from a renovated dairy shed. They started making oatcakes in 2005, while operating a deli in Auchterarder. 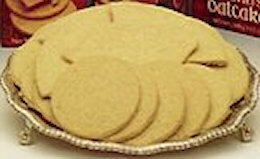 After winning gold in the Guild of Fine Foods Great Taste Awards in 2006 and 2007 and the Best Scottish Product Award in 2007, they decided to sell the deli and concentrate on their unique oatcake products.